Twiney's Workshop: Accessories that pop! I bought some really fun accessories today! 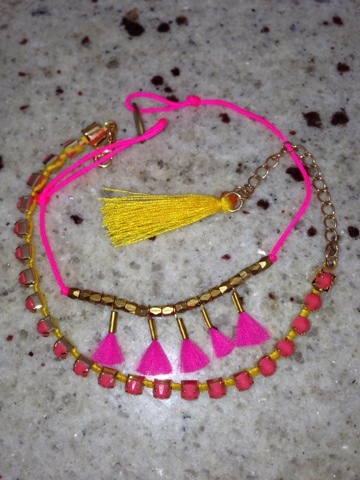 I'm just loving hot pink at the moment, so these bracelets were a must have. 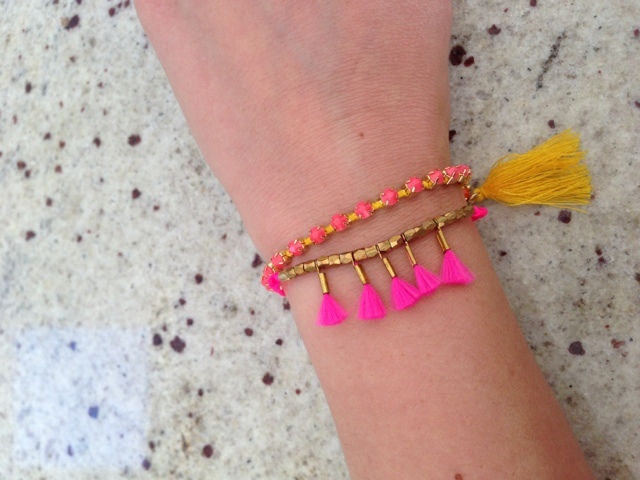 I love the little tassels on the bracelet, they remind me of mini feather dusters! It's summer in Australia at the moment & I just love the beach, so what better time to be wearing a combination of sea blue & deep coral in these earrings than now! I think the fastest way to update your look & stay on trend is by wearing accessories in this seasons colours. Have a look around their site for a really modern & creative way of using colours that pop, unique settings and raw semi-precious stones. 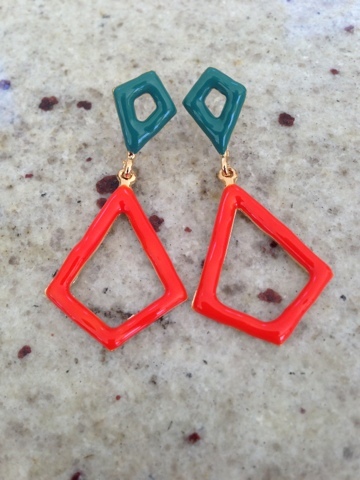 If you want a striking statement piece, that says WOW when you walk into a party, then their jewellery is for you! A designer to watch both in Australia and abroad.